The OptimDrive software was especially designed to help the drivers and the dispatchers to comply with the regulation over driving and rest times. Can I still take a daily reduced rest time ? Tomorrow, can I drive 9 or 10 hours ? How long can I still drive this week ? OptimDrive gives you the answers in only 3 clicks. If the complexity of the legislation and the risks on the road are combined, the compliance with the rules is a real puzzle for the driver and the dispatcher. It is in order to help them in this heavy task that Phelect has developed OptimDrive. This software goes further than a simple calculation of the infringements, it calculates and analyzes, moreover, the remaining times. This indicates the remaining times which the driver can still drive and the rest periods which he must respect. 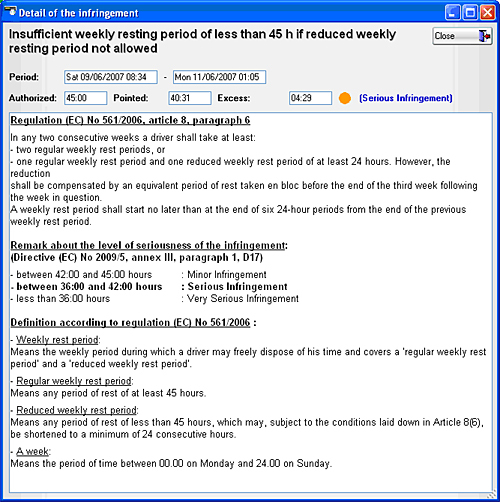 At the end of the performed activities, the software displays the remaining driving times as well as the obligatory rest periods. These remaining times are split according to the regulations (4:30 hours of driving, 45' of rest). 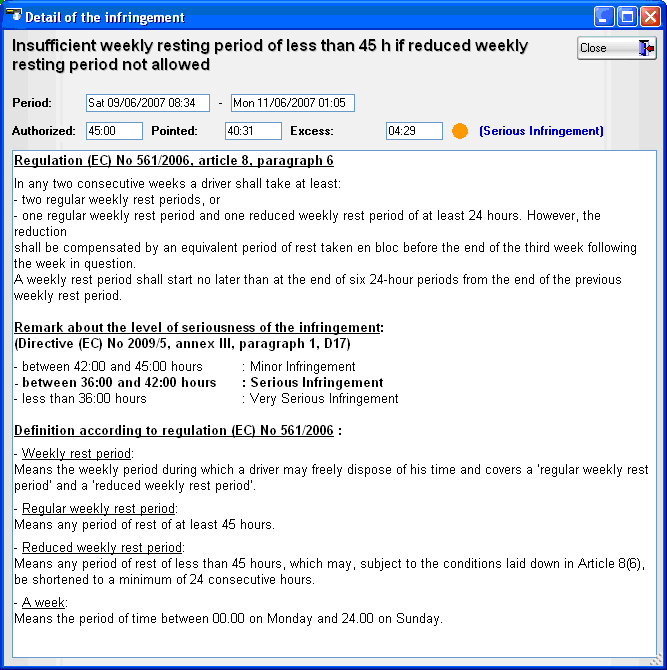 The user can modify the activities which "were extrapolated" on the basis of the remaining times. This for example, if the driver wishes to prolong his rest beyond the imposed minimum or if he estimates that the programmed journey will take less time than the authorized maximum time. As soon as the modification is made, the software automatically recalculates the new remaining times starting from the modification. The user can then plan his whole week while respecting the law. In its calculations, OptimDrive takes into account the double-crew driving and the mode "out of scope" (OUT). Based on the data of the driver's card, in only just three clicks, the user can visualize, in graphic mode or in the form of a table, all the performed activities, the infringements and the remaining times. 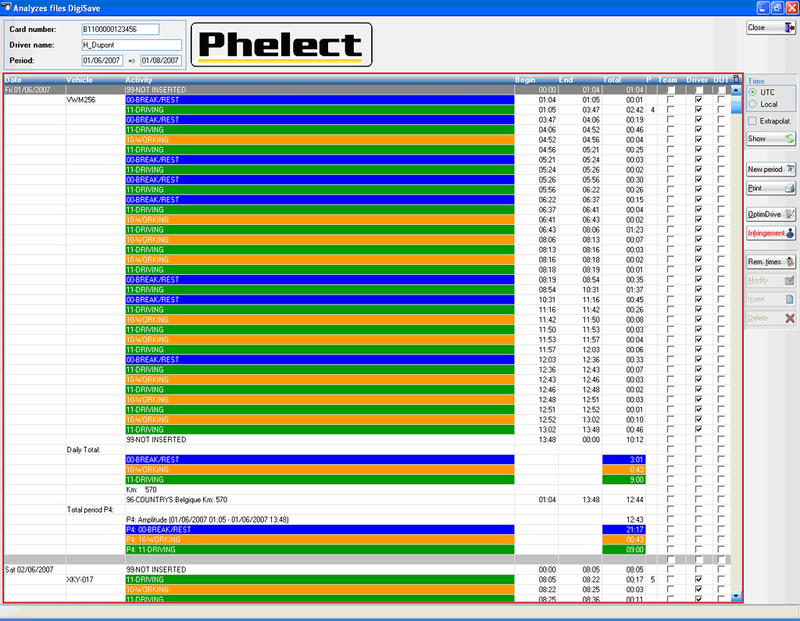 Phelect is quite conscious that the main function of a driver is to drive and not to tap on a computer. 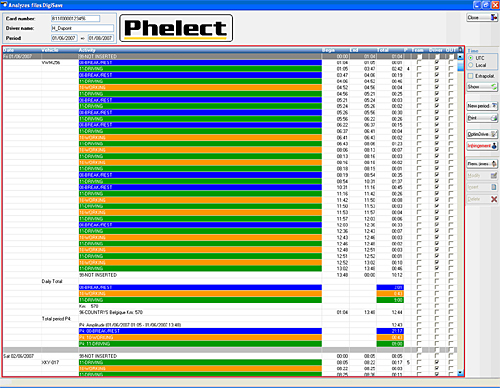 This is why, just like for its DigiSave software, Phelect especially worked on the user friendliness and reduced handlings to their simplest expression. Attention, the law makes the transport companies jointly responsible for the infringements made by their drivers. Those must then check the activities of their drivers and announce them, if necessary, the made infringements. The function "printing of the infringements" of DigiSave_OptimDrive will make this task considerably easier. OptimDrive is available in two versions: either the autonomous software for the drivers and the dispatchers, or the complementary module to the DigiSave software, for the companies and already widely diffused. The main difference between these two versions lies in the fact that the OptimDrive software does not manage the files "vehicles" and certain other functions specific to the companies. The old versions of DigiSave can of course be updated in order to benefit from these new functionalities.